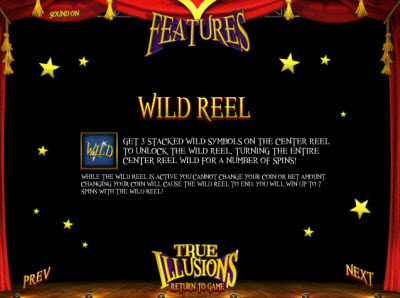 Overview: In the world of magic, nothing is what it seems. 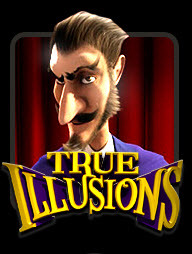 You keep telling yourself it's only a trick, but is it? 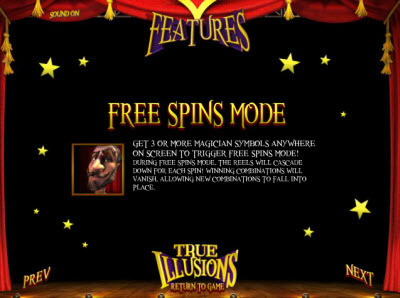 There can only be one explanation: it's magic. 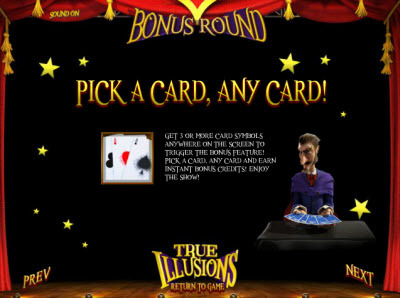 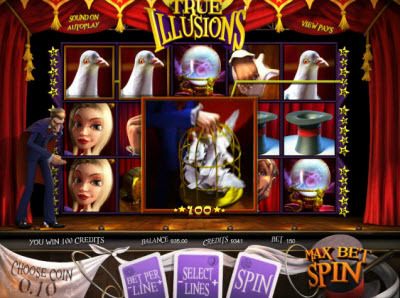 Join our fearless magician and his beautiful assistant in True Illusions, where you'll find that the winnings are more real than you can imagine. 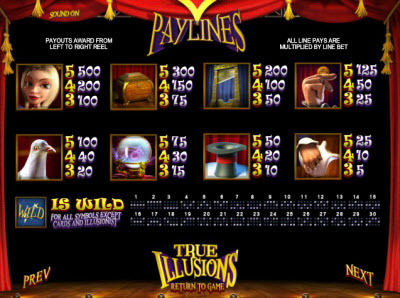 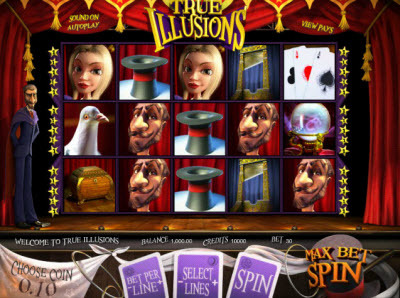 Similar Slots: If you like True Illusions, you might like these other BetSoft Gaming slots: Barbary Coast, Black Gold, Mad Scientist, Madder Scientist, Tycoons, Under the Sea.